We know that reading is the foundation for all future learning, and the ability to read transforms lives and empowers children and communities to reach their full potential. Research shows that students who read at grade level by fourth grade have a greater opportunity to succeed in school and in life. That’s why we partner with under-resourced schools and engage volunteer reading partners to work one-on-one with students who struggle with reading. 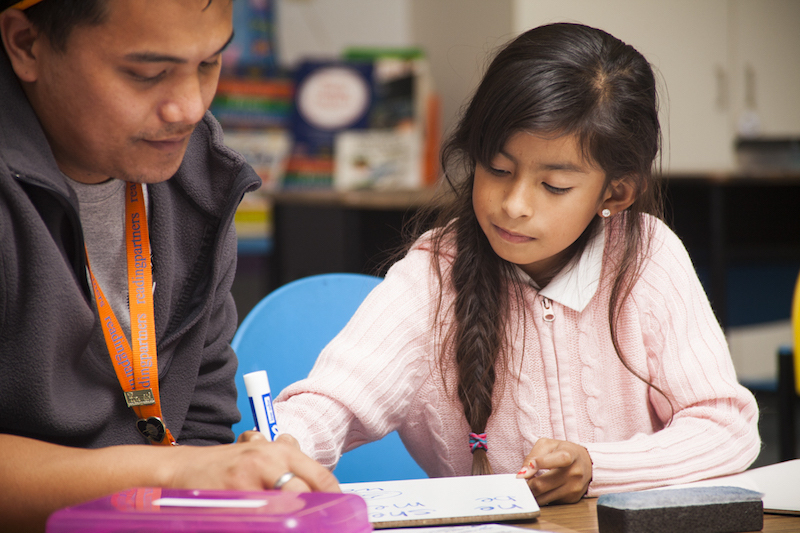 An evidence-based and community-driven organization, we recruit and train volunteers to work one-on-one with students for 45 minutes twice a week, following a structured, research-based curriculum.